What’s Wasting Your Time at Work? Are you bogged down with emails? Do you spend a good part of your day in meetings or trying to organize your desk? If so, you’re not alone. 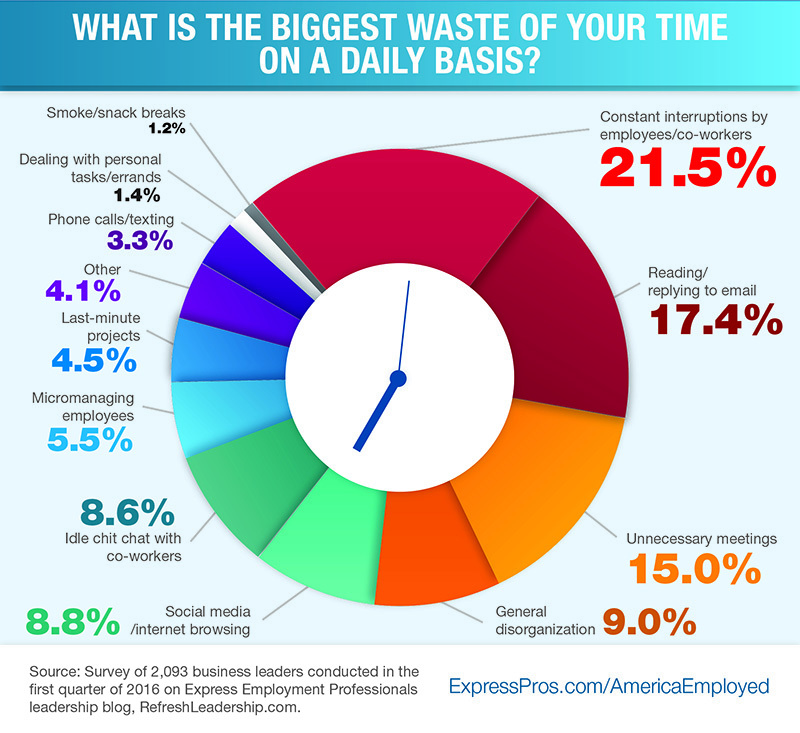 A recent survey from Express Employment Professionals revealed what employers believe are the biggest daily wastes of time in the workplace. How do you stay focused at work? Share your tips in the comments section below! Previous Post Entrepreneurship: Do You Have What it Takes?